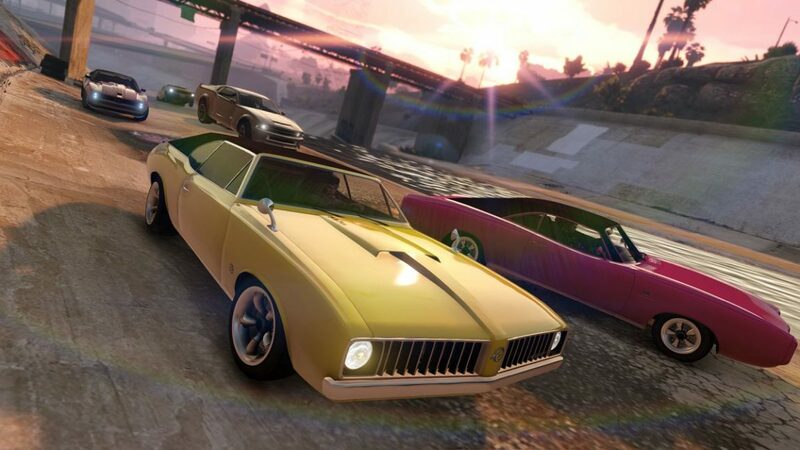 Earn double the rewards on RC Bandito Races and Transform Races this week, plus nice discounts on garages and classic cars in GTA Online. The weekly GTA Online update is live, and as usual, it’s giving you the opportunity to earn double XP and GTA$. This week you will earn double by participating in Transform Races and all 15 RC Bandito Races. Offense Defense is also rewarding double through April 3, and double payout on Dispatch Missions. This week’s Premium Race is Down the Drain and locked to Muscle Cars. Wager GTA$20,000 against seven other competitors and take GTA$100,000 for first place. Get second place to earn GTA$30,000 and third place breaks even. More classic races are planned in the weeks ahead. Select Classic cars are discounted this week, and you can take half off all 10 Car Garages. Various vehicle upgrades are also 40% off and the RC Bandito is also on sale at Southern San Andreas Super Autos. Just for logging in and playing this week, you’ll earn the Fake Didier Sachs T-shirt.